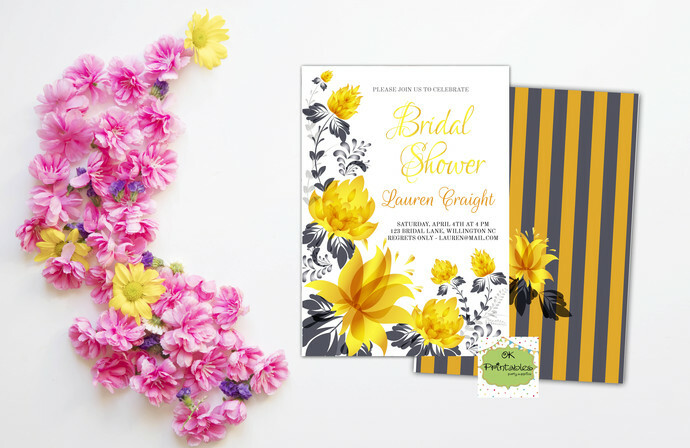 Bridal Shower Floral 2 Party Invitation! Two sides invitation! 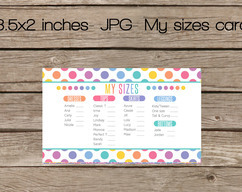 For printed cards, you can choose the quantity from drop menu. For digital or printed cards, you will receive a first proof by email in about 24 hours. Have two rounds of proofs. 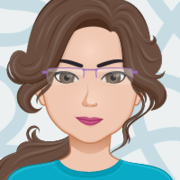 Once you approve the proof, I will send the Final file to your email or just send to print your cards. Printing services is about 1-3 business days. Standard shipping is about 8 business days. If you want a fast shipping, please, contact me. Each card come with a standard white envelope. - Premium MATTE (100 lb) is a subtle texture with an elegant feel. - Premium Glossy (130 lb) is High-gloss coating illuminates photos for eye-catching results. This modern, super-shiny finish adds a striking touch to your invitations and announcements. 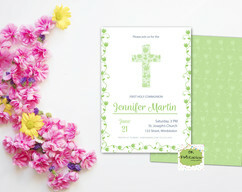 Green First Communion Invitation Digital file 5x7- 1st Communion Invitation - First Holy Communion. 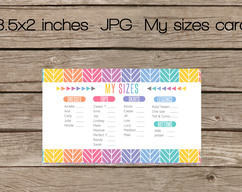 Printable Party invitation.